A newborn elk calf with its protective mother. 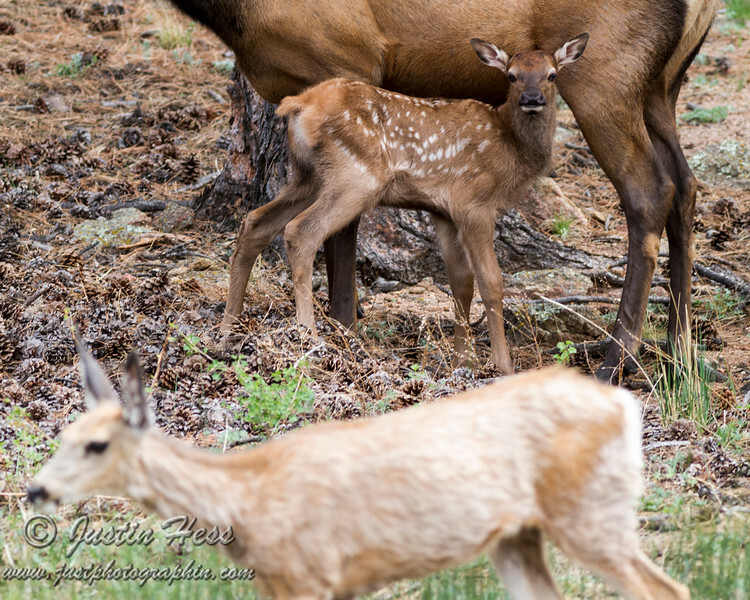 Baby elk - "Momma, what is that? Am I related?"